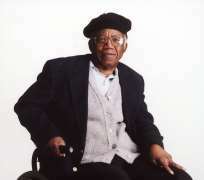 The demise of Professor Chinualumogu Achebe who was one of Nigeria's erudite scholars caused a stand still in the world. He was respected worldwide for his renowned intellectual disposition, literary prowess, and life of honour and activity. As news of his death reached out, sighs of grief and gasps of pain echoed all over the country, Africa and the world at large regardless of tribe, religion, race and ethnicity. Our solace is in the fact that he bequeathed to us worthy legacies. Nigerians and indeed Africans are proud to have a man who used his literary works to uphold and 'sell' Nigerian culture to the world rightly and to promote peace and unity in the country. Achebe has written a definitive assessment of contemporary issues in Nigeria in lucid and engaging prose and poems. The stories of people who paved way and provided stepping stones for today's generation in the world of literature will be incomplete without Chinua Achebe. He played a significant role. Humanly, we could not have Achebe forever; it is not given to any man to be. Although death is inevitable, in the annals of literary history of Nigeria, Africa and the world, and in our hearts, Achebe lives forever. At 82, he could not be said to have died young. However, going by the records of his achievements in his lifetime and the bold indelible mark he has etched on our collective history, he is still. For us, this is a moment of sober reflection and potent challenge, a cause for personal commitment and renewal. Achebe is a true success, posterity will remember him as a great man. The legacies he left are indelible on the sands of time, he affected lives for good, he infused courage in the mind of the timid and restored the hope to the disillusioned. The Igbo people are proud of him. He is a profound source of inspiration to our generation and our generation is better because he unleashed his greatness and lived a life worthy of emulation. Is your life worthy of emulation? Ndubuisi Precious Umebei is the Author of Make It Happen.